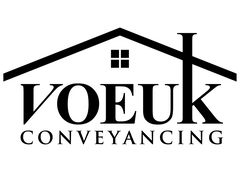 With 15 years’ experience in the industry, Voeuk Conveyancing is the professional business providing prompt and efficient services. Working with clients across Darwin and Melbourne, our licenced conveyancers strive to deliver our clients with competitive low prices guaranteed, whilst still providing our high-quality services that we have become known for. Our Darwin and Palmerston based conveyancing is the stress free and personalised professional service across Palmerston and wider Darwin. Conveyancing is the legal process of transferring legal title from one person to another. Property law is quite complex and there are a number of aspects to consider in the process, such as contractual obligations, contract clauses, conditions, encumbrances, easements and shareholding of property (to name a few). The most common form of conveyancing is buying and selling. There is a lot involved when it comes to the conveyancing process. Essentially, the buyer and seller sign a contract which becomes legally binding. Conveyancing may sound easy enough, however, it involves a lot of legal proceedings and legalities to consider as each individual matter differentiate from the next. We take great pride in providing careful detailed advice to you which may impact on your decision on the property. It is imperative that you place the legal work in the capable hands of experienced and qualified conveyancer who will ensure that whole transaction runs smoothly. Negotiate any amendments and/or provide advice as special terms and conditions for the sale or purchase of your property. Arrange payment of stamp duty. Check what encumbrances are lodged on title & advise how they could impact your decision on the property. Check to see if there are any outstanding debts to local council, body corporate. Calculate adjustments for council, water and strata rates, body corporate. Notify the relevant authorities and council of change of ownership. If you would like to find out more about how our licenced conveyancers can help you, feel free to give us a call on 0488 800 287, or email our team on admin@voeukconveyancing.com.